Sony will develop a new pro-level NXCAM camcorder that uses the same E-Mount lenses found on the popular NEX-series of cameras. The upcoming NXCAM can accept Sony Alpha mount lenses like the 70-400mm with the aid of the LA-EA1 adapter. 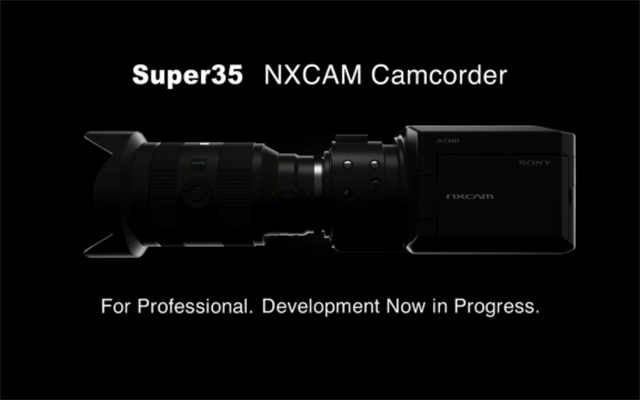 Word has it that the NXCAM will feature full 1920 x 1080 resolution in AVCHD format at a variety of frame rates, including 60p, 50p, 30p, 25p and the all-important 24p.